Flights and accommodation are booked, the dog's off to a kennel and that long-anticipated break is all you can think of. But wait, who is going to look after your beloved plants? Except in hot weather, your outdoor garden can probably look after itself for a week or two, but potted plants are a different matter. The ideal solution is to ask a green-thumbed friend or relative to swing by occasionally. But failing that, a little planning may be required. In hot weather you can use the old bathroom solution and group your pot plants together in the tub or shower and give them a good watering. You can put in the plug and leave a little water in the tub for them to soak up later. This is a great option for Peace lilies, ferns and other thirsty plants, but don’t leave plants such as succulents sitting in water for too long. Self-watering pots are another option, but it’s best to have the plants established in the pot well before your holiday so you can check they are thriving. In cold weather it’s vital that the plants are not suddenly left to freeze if heating is turned off while you are away. So you've read all about the benefits of having plants in the office and now it's time to do something about it. Greening up your office doesn't have to be difficult, time-consuming or expensive. Simply buy a few plants and look after them yourself. 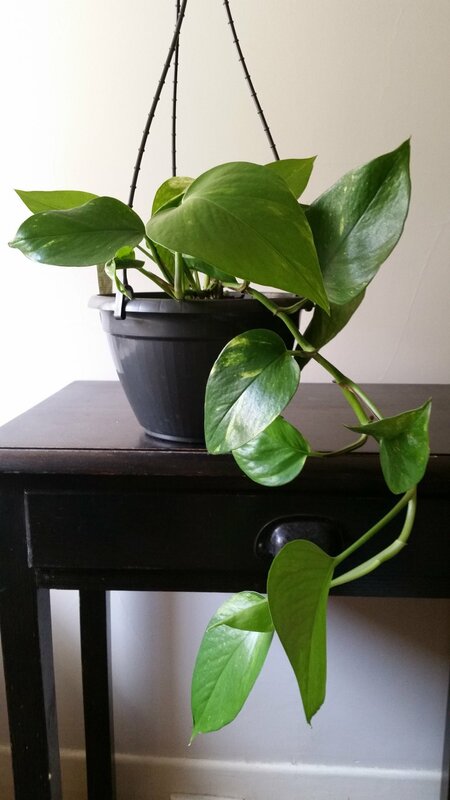 And before you shout "but I'm a plant killer" while waving your black thumbs at me, check out PlanterGarden's 10 tips for office plant care. 1. Get tough plants. Thirsty ferns will go to plant heaven fast if you often forget to water, but cast iron plant, dragon trees, yuccas and kentia palms are beautiful and hard to kill. 2. Provide the right pot or planter. Succulents don't need self-watering pots, but they can be good for peace lilies and ferns. Complicated watering systems, such as those used with some green walls, will eventually need maintenance, so opt for simplicity. 3. Find the right position. Maidenhair ferns don't belong in north-facing windows and snake plants, while tolerant of most conditions, can't live in the dark. 4. Appoint a "designated waterer". I've seen office plants rot and die because two people were watering them, both thinking it was their job. 5. Put your plants on a diet. Moderate doses of slow-release indoor plant food (read the instructions) are all that's required. 6. 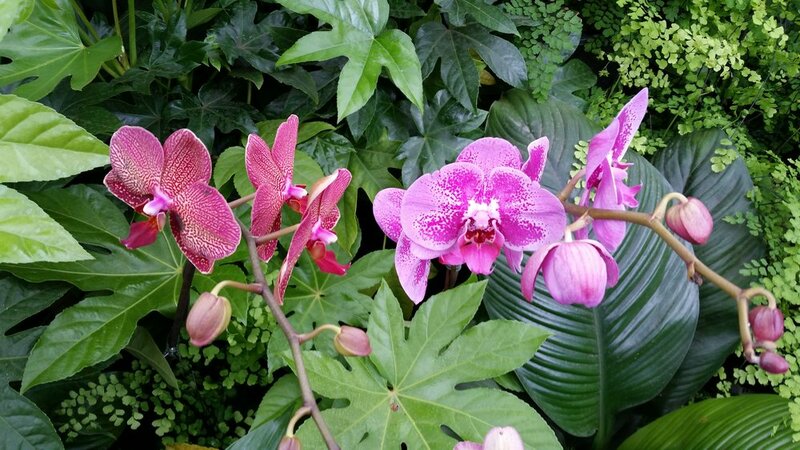 Moth orchids and peace lilies bloom for months and are a great alternative to cut flowers. With a little basic care they may even flower again next year. 7. Give your plant babies a holiday. Sick plants may simply need a few weeks outdoors in warm weather (check light requirements) to soak up a little extra sunlight, but don't leave indoor plants in hot summer sun. A shady spot that gets a little morning sun is often best. 8. All living things die eventually. Replacing a plant that's enhanced your quality of life for years is better than not having plants at all. 9. Safety first. Wear gloves if you have to trim plants and don't eat the foliage, no matter how much you've had to drink at the office Christmas party. 10. Ask Google. There's plenty of good plant care information online and it's usually obvious which info sites know their stuff. And don't forget to smile. Air quality, mood and productivity are all better with some nice plants around. Green walls (those created using plants, not just green paint) are all the rage, and with good reason. These innovative vertical gardens create a calming, natural ambience without taking up valuable floor space in your home or office. The downside is that they can be expensive, fiddly to set up and hard to maintain. But there is a simple alternative. Grouping some favourite plants together on a plant stand or bench is any easy way to create an indoor garden. Two or three shelves, one above the other, can help replicate the green wall effect and it’s easy to move your pot plants around to achieve the look you are after. Grouping plants together helps create humidity around them, which is crucial for many tropical plants, while colourful orchids look even better framed by the leaves of deep green foliage plants such as the hardy Cast Iron Plant. Succulents and other sun-loving plants should go on the brightest side of your “mini-jungle” to get the light they need while shading delicate species such as ferns. Succulents (Snake Plant, Jade Plant etc) don’t like humidity, but will cope in medium to bright light indoors as long as they are not overwatered. You may need to water your Peace Lily deeply once a week (depending on conditions), but giving Snake Plant (or even a Fiddle Leaf Fig) that much water will probably rot its roots. To avoid messy leaks, make sure your pots have deep saucers or opt for sealed cover pots. Check plant labels to determine the appropriate light and water requirements for your plants and arrange the collection accordingly. Follow these few simple rules and you will be enjoying your indoor rainforest for years to come.